Second Floor is an expression of owner Brayan Venezuela’s passions: skateboarding and electronic music production. Hidden away in a narrow street in the Barri Gòtic, the shop is located, as its name suggests, in the upstairs area of a commercial unit. You’ll find a tightly curated collection of vinyl, skateboards, skateboarding accessories, clothing and modular synthesizer components. Modular synthesizers allow you to manipulate electronic signals to create and process sound. These machines were the staple of early analog electronic music before software made digital music production more accessible and far cheaper. 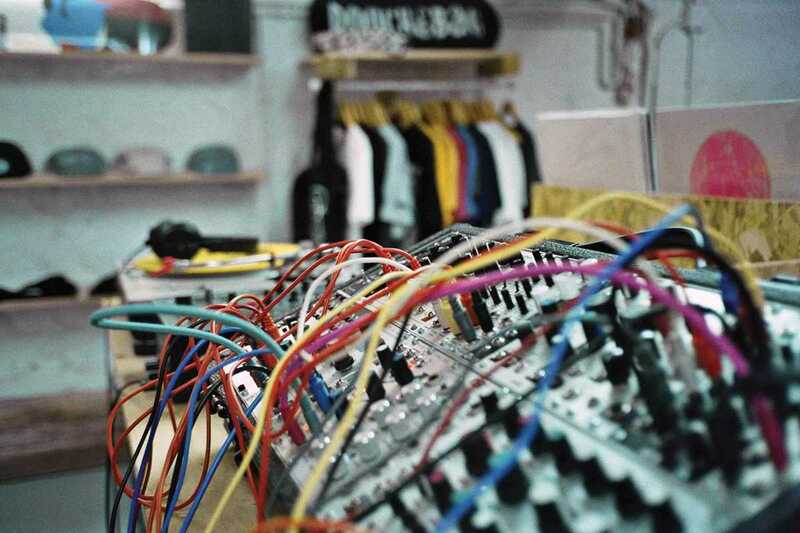 Users generally buy a rack (case) and build a bespoke modular synth from different components. These tend to evolve as users start to learn more about this complex art. To the uninitiated, it’s reminiscent of physics at school when the teacher would allow you to use an oscillator to generate and measure a signal. Only more techno. And a lot more fun.